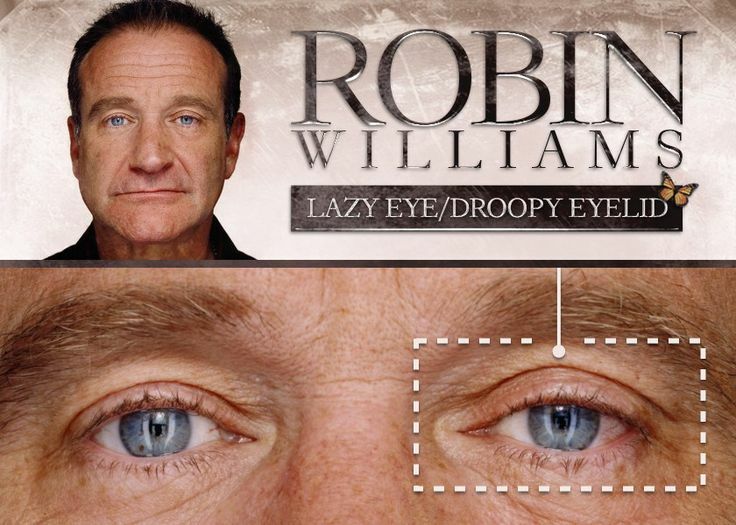 Project Monarch - Droopy Eyelid - Robin Williams ^--Okay, does anyone know how to remove this synthetic blemish? We already know it's not permanent; ours has spontaneously vanished for up to a week at a time, but we don't know why. We'd really like to get rid of it once and for all, as it makes us feel like branded cattle.